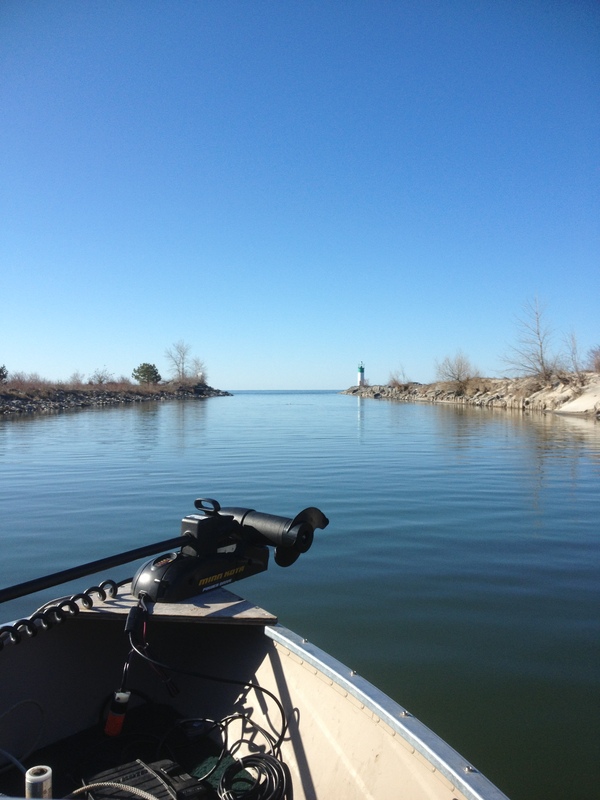 For years I have hear stories of the elusive, yet beautiful brown trout that frequesnt the shore lines of lake Ontario during the spring months. These stories have always facinated me and I have alsways wanted to get out and try for them myself. Finally I was able to make the trip up to Wellington in Prince Edward County (Ontario) to take a crack at these elusive fish. Wind conditions were perfect and the temperature was a balmy 5 degrees. 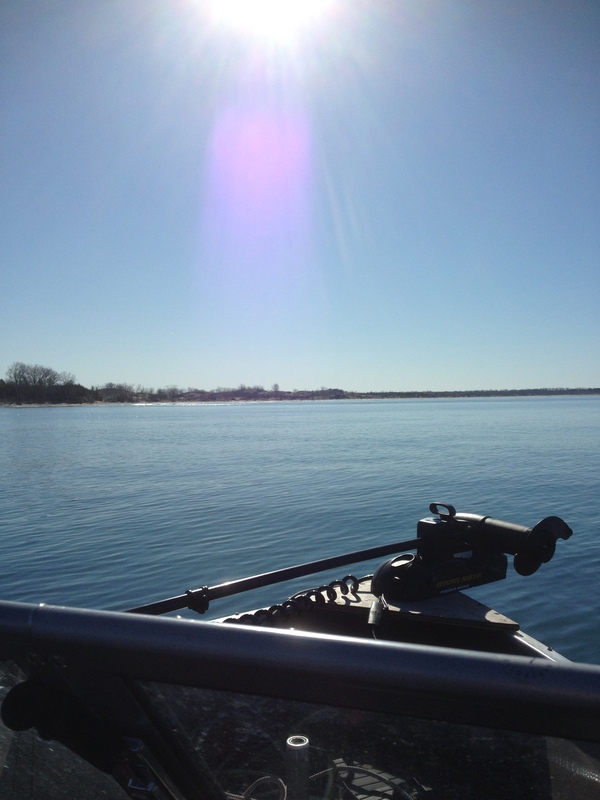 Pretty decent for being on such a big lake in April! 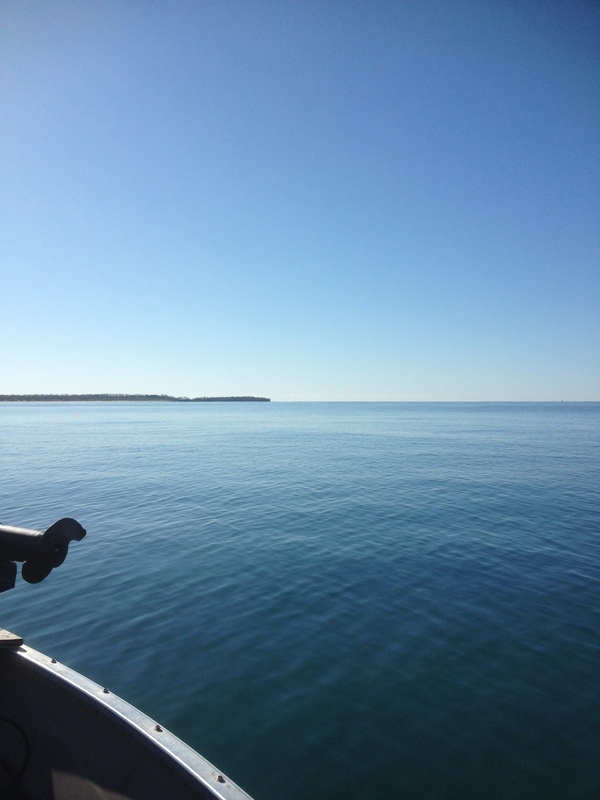 We launched out of the Town of Wellington which is just north of the Sandbanks Provincial Park. We moved south about 500 metres and began trolling an assortment of spoons and stick baits in anywhere from 9 to 30 FOW using straight lining and planar boards. Trolled past the sandbanks right up to and round the point just west of west lake. We clearly werent the only ones with the idea of chasing Brown trout as we encountered at least 10 other boast and a pair or adventurous Kayak fisherman. Marked a few fish in varying depths of water but couldnt get any hits. As they say thats why they call it fishing, not catching. 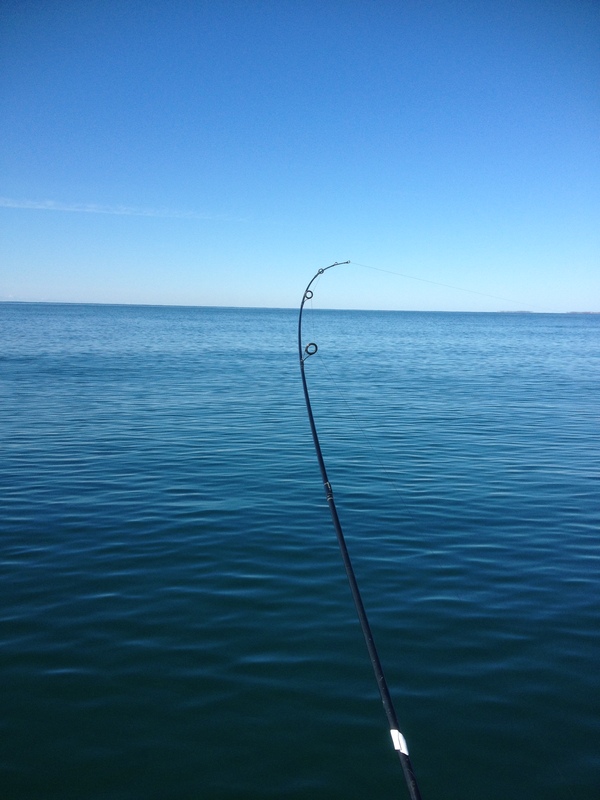 On the bright side we were at least we were able to enjoy a beautful day on the clear blue waters of Lake Ontario away from the stresses of life. This entry was posted in Fishing, Uncategorized and tagged Brown trout, Canada, Fishing, Lake Ontario, Ontario, Sandbanks Provincial Park, the wilds of ontario, Wellington, wild ontario. Bookmark the permalink.